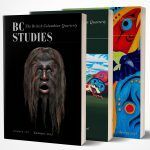 “Memorandum of Misunderstanding?” was published in BC Studies Issue no. 195. In it, Dr. Wylie evaluates whether UBCO “has achieved its stated goals of meeting the educational needs of the local population.€ Wylie contends that they have not. “UBC firmly believes not only that international engagement benefits both domestic and international participants in post-secondary education, but also that the diversity of our campuses has a positive and lasting impact on the economic and social fabric of our communities,” reads the statement released by Deborah Buszard, UBC deputy vice-chancellor and principal of the Okanagan campus. You can read the full news article in Lake Country Calendar here. “Memorandum of Misunderstanding?” is available online on OJS or through ordering a physical copy of Issue no. 195 through our website.